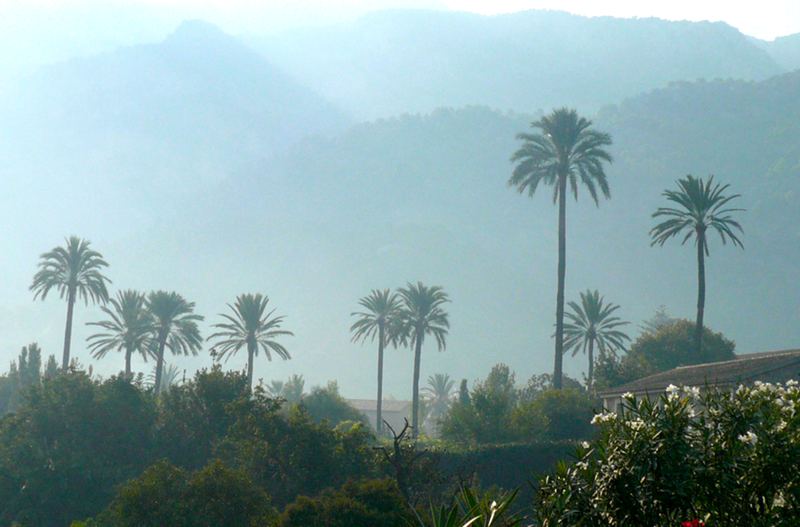 Colvin & Moggridge » Landscape study Palma, Mallorca. This year’s practice field trip took us all to Palma, Mallorca and its hinterland to study the architecture, cityscape, gardens and natural landscape. 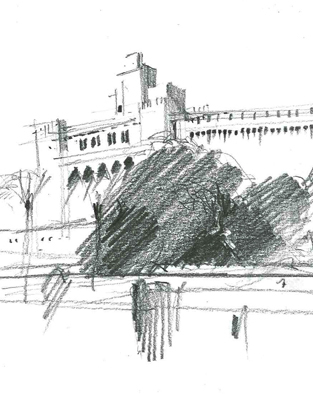 Palma, with its rich historic and modern design detail, proved a fertile territory for our usual challenges to staff to sketch and photograph ‘the spirit of the place’. Weather conditions ranged from bright sun and blue skies to a torrential thunderstorm. The early morning mists brought out the islands magic – a landscape whose blend of maritime and urban beauty, fertile plains, dramatic mountain and seacliff scenery seduced us all. 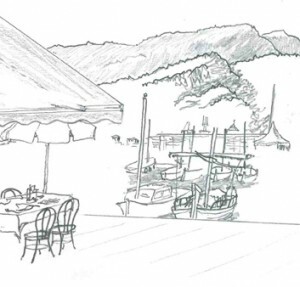 Memorable landscapes included views to the Cathedral of Santa Maria across the Port of Palma and from Castle Bellver above, the Soller Valley, and the coastline from Deia and Port Soller to the Sa Calobra Ravine.